It’s time to start brewing your entries for DC Homebrewers’ Cherry Blossom Competition. You’ll get feedback about your beer from judges certified by BJCP, and you can use that information to improve your brewing skills. If you win, you can get a sweet ribbon to show off how awesome you are — plus some great prizes from breweries and local beer establishments. Registration opens on Sunday, Feb. 1, 2015, at 7 a.m. EST at http://www.dchbcompetition.com. Register your entries there. The entry fee is $8 for your first entry and $6 for your second (with a limit of two entries per person). Once you register, you can print off entry information to attach to your bottles. 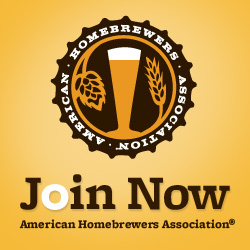 Then, drop off the bottles at 3 Stars Homebrew Shop in D.C. or My Local Homebrew Shop in Falls Church, Va. All entries must be dropped off by 6 p.m. EST on Friday, March 13. How Can I Get Involved Otherwise? We’re looking for stewards and BJCP-certified judges to help on judging day (Saturday, March 21). If you’re interested in doing either, please register at http://www.dchbcompetition.com/ starting on Thursday, Jan. 15.